Blocks are one of the best ways to build early learning in your child. From holding the blocks to shaping them into different designs, there is a lot of fun and creativity involved in every play. -This building blocks set is an ideal gift for young children to help them engage in creative and fun play. 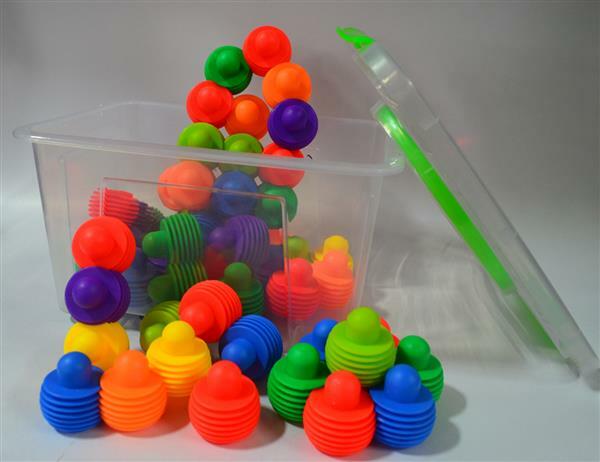 -The kit consists of 100 number of blocks which are made up of non toxic plastic. -The blocks are attractive to look at with bright colors which help children learn colors as they play. 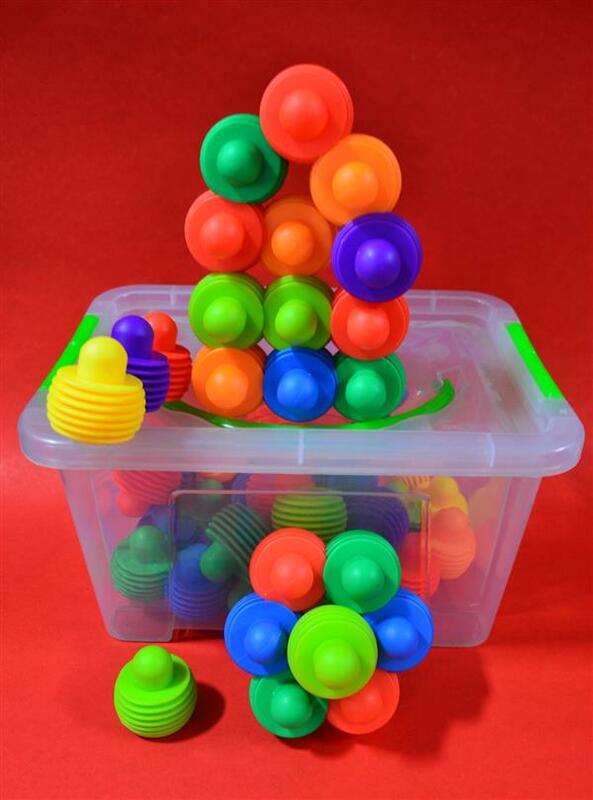 -The round shape of the blocks makes it easy for kids to hold the blocks and place them in the desired shape. There are no sharp edges in these blocks which ensures a safe play for small children. -An instruction manual enclosed in the kit gives detailed guidelines and instructions on playing with these blocks. -All the blocks are enclosed in a neat container which helps you stock up the blocks carefully and neatly. WARNING:- The product may contain small parts and hence adult supervision is recommended when playing with this product.